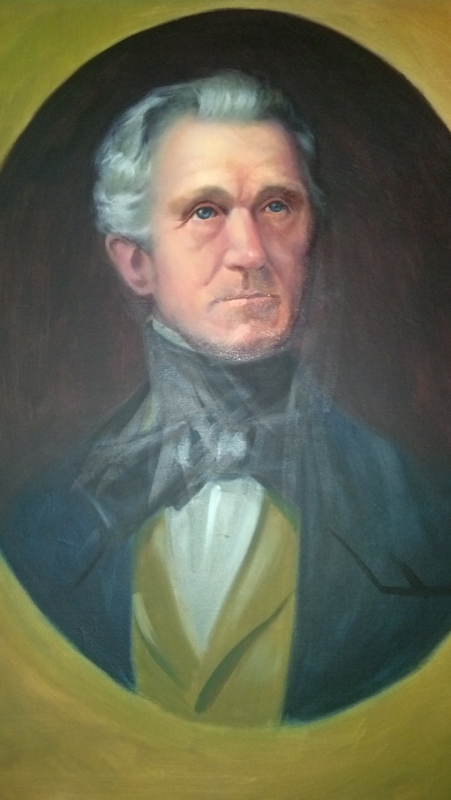 Philip Fendall, Jr. is a face seen every day at Lee-Fendall hanging on the wall in the North parlor. On tour he is mentioned as the first child born in the house. He also stands in as his father since Lee-Fendall Museum has no image of Philip Fendall, Sr. Philip Fendall can be talked about extensively in his endeavors including visiting France with Arthur Lee and Benjamin Franklin. 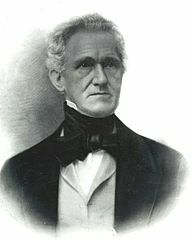 His son, Fendall, Jr., on the other hand, is lost in the house history because he moved out in 1812 and never owned the house. Born in the house in 1794, Philip was just a boy when his father passed away in 1805. Little is known about him during this time but it has seemed to receive a good education and continued it at Princeton University in 1812. He seemed to have thoroughly enjoyed his time in college. Many of his written correspondence between him and his mother, Mary Lee, and his sister, Lucy Lee, talk about his time at Princeton. He enjoyed meeting new people, going to different events, and learning new things. One topic loves to write about was religion. He spoke mostly highly of it and seemed to lead his mother on to thinking that religion could be his career path. After graduating with honors in 1815, he continued to study law and by 1820 he was admitted to the Alexandria Bar. Philip Jr. was left with many of his mother’s financial burdens. She had racked up debt to so many people; she was forced to mortgage Lee-Fendall House. During this time, Philip also married Mary Elizabeth Young, and settled in Washington, D.C. Being very much involved with Washington politics, he was became clerk of the U.S. State department under John Quincy Adams. This is where a life-long friendship formed with Secretary of State, Henry Clay. A lock of Henry Clay’s hair can be seen in the upstairs master bedroom at Lee-Fendall. It was a gift to Philip Fendall, Jr. from Henry Clay. In the 1840’s Philip was appointed District Attorney under President John Tyler but always continued practice law under his own firm. He was also very much involved in the Jamestown Society and the American Colonization Society, along with his friend Henry Clay. When the Civil War broke out, Philip was torn. He did not agree with many things happening in the South but his own cousin, Robert E. Lee, who grew up across the street from Philip, was the commanding General for the Army of Northern Virginia. Several other Lee relatives, including one of his own sons, all fought for the South; two of his other sons also joined the fight, siding with the North. Just a couple years after the Civil War ended, Philip Fendall, Jr. passed away at his Washington, D.C. home at the age of 74. He lived during some of the most important turning points for the growing United States of America and supported many famous political Americans. Although Philip, Jr. is not a name spoken about often in Lee-Fendall House, it is one that should not be forgotten. In the encamped fields stretching from north to south, soldier in the civil war were looking to pass their time. Spending time in tents, writing letters to home and sitting around the camp fire with other men doing the same could drive a man crazy. The sport of baseball was quickly evolved in these wide open spaces. Most men had their own variation of the rules depending on what part of the country they were from. Some rules included players being able to throw the ball at the run to get him out. Baseball was an established sport by the time the War broke out. A variation a cricket, the first official baseball game was played in Hoboken, New Jersey in the 1840s. Many of the men had played or seen a game as a boy. “Some men took their baseball equipment to war with them, but when proper equipment was not available, soldiers improvised with fence posts, barrel staves or tree limbs for bats and yarn or rag-wrapped walnuts or lumps of cork for balls.” Gloves were not used. The balls were stitched differently and were softer. Now they may be harder but made out of similar materials. Taking a cover off a modern day baseball will expose a tight wound ball of string. As it is pulled off the middle may be one of two things, a bouncy ball or like in the 1850s and 60s, a cork. Prior to the Civil War, baseball was considered a “gentleman’s game.” Residents at Lee-Fendall, Cazenove’s may have enjoyed watching a local team play. There was no heckling, or arguments. Everyone played be the gentleman’s rules. After the War, baseball started becoming more organized into leagues around the country. Teams from different towns would play each other. Fans would heckle the umpires and calls would be disputed. During this time fans started getting charged to watch a game. The average cost? 10 cents. Baseball was reuniting Americans. They had common ground with baseball; the sport was just missing one thing, stats. Henry Chadwick, an English immigrant, influenced the game in the 19th century changed the rules of the game. He believed baseball should be more scientific, each man should be judge on their ability; pitchers should be judge on if the other team is hitting every pitch they throw. Because of this the amount of balls allowed during an at bat was reduced from 5 to 4. He was one of the first promoters and sportswriters in America. Henry gets complete credit for starting the modern scoring system also. He used letters to show players positions and a “K” to show a strike eventually numbers replaced the letters for player positions. This new way of scoring led to box score. Today, scoring a game and box scores are very similar to the way Henry Chadwick originally arranged it in the 1860s. City by city teams were being formed. Players were being scouted by team owners, who were willing to pay men to play the game. Eventually being split into two leagues, the National league and American league, baseball continued to strive in America even after two World Wars. It was the one sport that kept Americans united. With baseball season in full swing, and our home town Nationals not doing as well as we would all like, remember the origins of our pastime. The soldiers that used it as their pastime in encampments and POW camps, the men the help shape the game like Henry Chadwick and the historic stars of the game like Cy Young, Ty Cobb, and Babe Ruth. Evans, Christopher Hodge, and William R. Herzog. The Faith of Fifty Million: Baseball, Religion, and American Culture. Louisville, KY: Westminster John Knox, 2002. Print. Tygiel, Jules. Past Time: Baseball as History. Oxford [England: Oxford UP, 2001. Print. Philip Fendall, Jr. is a face seen every day at Lee-Fendall hanging on the wall in the North parlor. On tour he is mentioned as the first child born in the house. He also stands in as his father since Lee-Fendall has no image of Philip Fendall. Philip Fendall can be talked about extensively in his endeavors including visiting France with Arthur Lee and Benjamin Franklin. Fendall, Jr., on the other hand, is lost in the house history because he moved out in 1812 and never owned the house. Born in 1794, Philip was just a boy when his father passed away in 1805. Little is known about him during this time but it has seemed to receive a good education and continues it at Princeton University in 1812. He seemed to have thoroughly enjoyed his time in college. Many of his correspondences between him and his mother, Mary Lee, and his sister, Lucy Lee talk about his time at Princeton. He enjoyed meeting new people, going to different events and learning new things. One topic loves to write about was religion. He speaks mostly highly of it and seemed to lead his mother on to thinking that could be his career path. After graduating with honors in 1815, he continued to study law and by 1820 he was admitted to the Alexandria Bar. Philip Jr. was left with many of his mother’s financial burdens. She had racked up debt to so many people; she was forced to mortgage Lee-Fendall House. During this time, Philip also married Mary Elizabeth Young, and settled in Washington, D.C. Being very much involved with Washington politics, he was became clerk of the U.S. State department under John Quincy Adams. This is where a life-long friendship formed with Secretary of State, Henry Clay. A lock of Henry Clay’s hair can be seen in the upstairs master bedroom at Lee-Fendall. It was a gift to Philip Fendall, Jr. from Henry Clay. In the 1840’s Philip was appointed District Attorney under President John Tyler but always continued practice law under his own firm. He was also very much involved in The Jamestown Society and the American Colonization Society along with his friend Henry Clay. When the Civil War broke out, Philip was torn. He did not agree with many things happening in the South but his own cousin, Robert E. Lee, whom grew up across the street from Philip was the commanding General for the Army of Northern Virginia. Several other Lee relatives including one of his own sons all fought for the South, two of his other sons did join the fight, siding with the North. Just a couple years after the Civil War ended, Philip Fendall, Jr. passed away at his Washington, D.C. home at the age of 74. He lived during some of the most important turning points for the growing United States of America and supported many famous political Americans. Though Philip, Jr. is not a name spoken about often in Lee-Fendall House, it is one that should not be forgotten. We are starting a new blog series today! For those of you that have been on a tour of Lee-Fendall House, you were introduced to the many names and faces that once called our museum home. In this new series we will be exploring deeper into the lives and personal affairs of these owners that are merely names to us. Because this is the first entry in it is only fitting to start with the first owner, Philip Fendall. Philip Richard Fendall originally bought the property from his cousin “Light Horse” Harry Lee in 1784. Beginning to build his new house was not the only thing Philip was involved in that year. 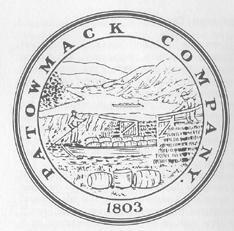 George Washington was starting the Potomac or Patowmack Company that same year. Washington’s idea was to devise a series of canals and locks to make the Potomac River more navigable, with an ultimate goal of connecting the James River, Potomac River, and the Ohio River. Through a series of channels, roads, canals and locks, it would make trade easier between the East and the West. Washington knew the lands in the West very well after surveying it as a young man and navigating it again during the French and Indian War. After exploring areas of western Virginia, Maryland, Pennsylvania and Ohio, again after the Revolutionary War, he needed financial support in the matter and looked to Philip Fendall, “Light Horse” Harry Lee, Thomas Blackburn, and other prominent men in the area for help. The 1785 charter provided “liberal wages” for “one hundred good Hands with provisions and a reasonable Quantity of Spirits.” With the support from Maryland and Virginia, work on the Potomac River was no easy task. There were a series of falls from Georgetown, Great Falls, and Seneca Falls and into Harper’s Ferry. They were also met with rock gardens, rapids, rock ledges, and large boulders. The problems were not just natural features but also physical labor. The Potomac Company had a hard time finding labor because of the physical demands and dangerous conditions. Some location along the river had already been established, helping the Potowmack Company move up river faster. General Light Horse Harry Lee was a huge help, he purchased 40 acres off the Potomac River that became the headquarters of the Potowmack Company. He called it Matildaville, after his late wife. Located by Great Falls, it included a sawmill, gristmill, housing for laborers, boarding houses, a warehouse, and shops. Eventually it was abandoned after the failure of the company. The company fell short of reaching their goal within five years. It took them an additional five years just to finish the canal at Great Falls. They never made it all the way up the Potomac River as they had projected. Great Falls was profitable for a short time but eventually the Potowmack Company was absorbed by the Chesapeake and Ohio Company in 1828. C & O did move forward with George Washington’s original vision and eventually built canals to make it easier for trade to Cumberland, Maryland. Without the support of men like Philip Fendall and Light Horse Harry Lee, Washington’s vision would not have become a reality. The original idea of connecting major water routes was just the start to connecting the East to the West, The beginning of growing the new nation into a strong nation. “Articles – C&O Canal Association.” Articles – C&O Canal Association. N.p., n.d. Web. 25 Apr. 2013. “Great Falls Park’s Locks RecallWashington’s Potomac Canal Project.” Great Falls Park’s Locks Recall Washington’s Potomac Canal Project. N.p., n.d. Web. 25 Apr. 2013. Here we are in the dead of winter again and it’s a typical Northern Virginia one. The temperature won’t make up its mind (reached 60 degrees last week but didn’t make it out of the 20’s on Sunday.) Snow is always on the forecast and always going to arrive during our rush hour(s) (because I-95 isn’t bad enough on a dry, sunny day). This time of year seems slow, cold, and boring. BUT that’s what makes it a perfect time of year to come to historic sites. If you are a local, you know tourist season is just around the corner. More buses, more school children and more traffic. Beat the crowds: take advantage of interesting historic sites in your neighborhood. With a little research you can probably find one just around the corner, where you always wondered “what’s down that road?” At Lee-Fendall House this coming March we are providing a little bit of encouragement by having another NO ADMISSION MONTH! Not all museums are open during the winter so take advantage of the ones that are. By regularly checking the websites of local historic sites you may find that they are having special offers, like no admission, or are holding special events, like our 14th Annual Easter Egg Hunt. Even if a site is closed, they may be having a one day program open to the public; just driving by it to get a better look or understanding of where it is at can prepare you for when it is open. So, if you are at home, already caught up on Downton Abbey, and bored, check out your local historic sites. You may just find they are not what you expected and not so crowded! Don’t forget to look at our events page to see what special events Lee-Fendall is holding throughout the year! Faithful readers: forgive the brief hiatus in blog entries as the staff at the Lee-Fendall House valiantly attempted to master the chaos of the holidays. The flurry of activity during the past few weeks has included putting up beautiful Christmas decorations, hosting a holiday open house, and participating in the annual Historic Alexandria Candlelight Tours. We can now sit back, take deep breaths, and catch up on some of what was temporarily pushed aside. While we will take another break from our entries over the holidays, look for more entries at the beginning of January. For this week’s blog entry, it seems all too appropriate to spend a bit of time ruminating on a classic holiday drink. One quart cream, one quart milk, one dozen tablespoons sugar, one pint brandy, 1/2 pint rye whiskey, 1/2 pint Jamaica rum, 1/4 pint sherry—mix liquor first, then separate yolks and whites of eggs, add sugar to beaten yolks, mix well. Add milk and cream, slowly beating. Beat whites of eggs until stiff and fold slowly into mixture. Let set in cool place for several days. Taste frequently. Given the above recipe, it shouldn’t come as a surprise that eggnog has caused a problem or two in history, and not just at the company Christmas party. In 1826, the military academy West Point saw it’s fair share of trouble. The cadets at West Point traditionally enjoyed a Christmas celebration that included homemade eggnog; however, the tenure of the new superintendent Colonel Sylvanus Thayer threatened this much-beloved custom. Although Thayer attempted to enforce a rule that prohibited the purchase or consumption of alcohol by cadets at West Point, the cadets found a way around this “suggestion” and threw a raucus celebration that included excessive consumption of eggnog. What soon became known as the “Eggnog Riot” involved over 70 cadets and resulted in charges of assault and destruction of property. Nineteen cadets and one soldier were court-martialed in retribution for the fiasco, although one cadet notably escaped blame. 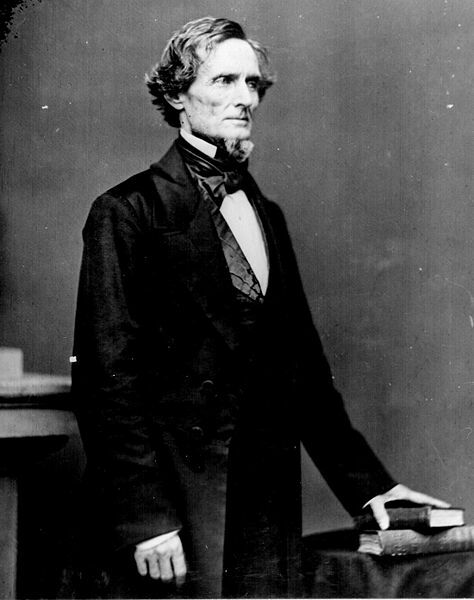 Jefferson Davis, who would go on to become President of the Confederate States of America, was one of the alleged perpetrators during the events. Although he was placed under house arrest for a period of time, he successfully avoided the more serious fate of some of his other classmates. Luckily, consumption of eggnog throughout history hasn’t always been quite as dramatic as the Eggnog Riot. 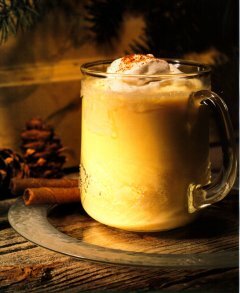 By the Victorian period, however, eggnog had officially replaced the popular colonial drink of punch as the drink of choice during the holidays. In addition, it was one of the few alcoholic drinks acceptable for ladies to drink in public. During the holidays eggnog would have been traditionally served before breakfast and consumed throughout the day. One can only imagine the scene at Victorian homes such as the Lee-Fendall House during Christmas. If you choose to indulge in this decadent and delicious holiday drink over the next few weeks, remember that you’re in good company. Although do try not to follow the example of Jefferson Davis and his fellow cadets. Elizabeth Dias, “A Brief History of Eggnog,” TIME Newsfeed. December 21, 2011. http://newsfeed.time.com/2011/12/21/a-brief-history-of-eggnog/. Accessed December 16, 2012. Carol S. Funck, “The Eggnog Riot,” U.S. Army Heritage and Education Center, December 22, 2010. http://www.army.mil/article/49823/The_Eggnog_Riot/ Accessed December 16, 2012. Mary M. Theobald and Libbie Hodges Oliver, Four Centuries of Virginia Christmas (Richmond, VA: The Dietz Press, 2000), 91. Godey’s Lady’s Book was first published in Philadelphia in 1830 by Louis A. Godey, who claimed to be delivering to women the original “gift book.” A book filled with positive images and thoughts about life, design, style, cookery and modern methods for home and wardrobe, and finally color lithographs of the latest fashions. From 1837 till its final publication in 1877, Sarah Josepha Hale was the primary editor with Louis Godey in publishing control. Originally the books were marketed to women, but included contributions by men and women. She eventually shifted to a by-women-for-women format. The book did not stop circulating during the Civil War. Godey and Hale purposefully neglected any mention of the war, even going so far as to fire an assistant editor, Sara Jane Lippincott, for writing about abolition in other publications. As the country moved westward, Godey’s Lady’s Book and Magazine were found in towns across the Great Plains, even into California and the westernmost territories. Even though each annual subscription was $3 or more, the readership topped 150,000 “middle class” homes by 1877. It was one of the first copyrighted books in America, and Godey and Hale fiercely protected their rights, which was considered selfish at the time. First Publication of short works by Edgar Allan Poe, Oliver Wendell Holmes, Nathaniel Hawthorne, Washington Irving, and others. How does this apply in Alexandria? The exact numbers of readership are unknown, but could be determined through the records of the publishing company which still in exist, in part. As part of a thriving metropolitan area with affluence, a market economy, and an established social milieu, it would not be without the realm of possibility that several women in town purchased this book, shared it with a neighbor, or copied down patterns, receipts, and ideas. 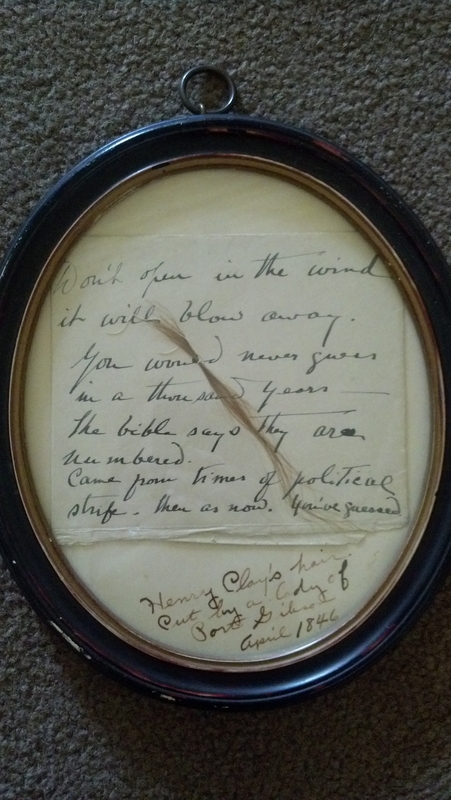 An examination of writings left behind by Alexandrians would also reveal clues about their reading habits and responses to new merchandise and ideas. Some possible places to start would be the diary and letters of Judith Brocklebrough McGuire, wife of the Episcopal High School headmaster or the diary of Isobel Emerson. Carding wool; Breaking cotton; Dressmaker; Hairdresser/Wigmaker; Silversmith; Ironworkers; Ladies’ Teachers; Nailers (Horace Field Union Street); Dyer; Laundry and cleaning ; Mantua makers; Merchants (supplying needles—Tunis Craven King St, 1803-05); Milliner; Seamstress; Tailor; Tanner; Finished wearables (yarn stockings—John Joseph Combs, Fairfax Street, 1786); George Washington Parke Custis advocating a woolen manufactory 1809, sheep raising and shearing contest 1808; Philip Dalby—hardware, ironware, cutlery, hats, Persians, modes, handkerchiefs, etc. The first mention of a specific type of wool being sold in Alexandria in most indices is attributed to Antoine (also Anthony) Cazenove, father of Louis Cazenove who owned Lee-Fendall House 1850-52. Antoine established the Cazenove Company which exported wheat and flour, and imported dry goods and foodstuffs. In 1821, he is advertising for Merino and skinner’s wools. Earlier reference to “cassimeres” probably refers to finished products, not yarn. What “Skinner’s Wool” exactly is, is a bit harder to determine. Is Cazenove’s mention of “skinner’s wool” identifying a wool standard, rather than a wool itself? A vital publication of the wool trade, Skinner’s Wool Trade Catalogue, was a product of the Australian wool industry. The Skinner Company also produced a second catalogue titled Skinner’s Cotton Trade Catalogue. These two volumes formed the most comprehensive statement on the United Kingdom’s textile trade. “Skinner’s wool” might indicate the wool is imported, therefore subject to an understanding of the wool’s composition or origin. A consumer of the day probably understood the term as an endorsement of quality or source, rather than of composition. Please forgive this interruption of your regularly scheduled Godey’s Lady’s Book post, to hear the tale of a visitor from the past. Yesterday, members of our board and staff had the pleasure of meeting Marilyn Moll. Mrs. Moll served as Researcher and co-Director of the Lee-Fendall House Museum & Garden from 1983-1990. Among her many contributions, Mrs. Moll took on the story of John L. Lewis as her pet project, identifying people and collections that would strengthen our interpretation of this controversial labor leader. Her findings included: boxes of household accounts stuffed away in the house’s basement; his cap, gown, and honorary doctorate diploma awarded by Georgetown University on sale at a local thrift store; the family’s private cottage at Pine Island, Florida; and many other stories, people, and objects. Mrs. Moll’s interest in Lewis began with the recognition of his national significance. Indeed, of all the residents of this house, Lewis is unquestionably the most nationally significant. As president of United Mine Workers of America and the Congress of Industrial Organizations (today, AFL-CIO), Lewis fought for safer working conditions, environmental protections, fair wages, better health care and living conditions for coal miners and their families. Mrs. Moll felt that although the Lee family has a significant role to play in this city and house, Lewis emerged as the person to remember. And the fair Matilda flits about upstairs. Whilst Myra Lee imperiously cranks a bell. And Myrta Lewis hovers everywhere. No ghost exists–’tis John L. Lewis there! You can find other poems about Alexandria’s famous people and places through the MAPP project (Mapping Alexandria through Poems and Pictures), directed by City Poet Laureate Amy Young, and perhaps include one of your own! Ever wonder how to make a clock from a paper plate? A skin cream from an avocado? A birthday cake out of fruit? Welcome to the world of “upcycling” and DIY (do-it-yourself) on Pinterest. Pinterest is a free website where users create virtual boards on which to post and share, or “pin” and “re-pin,” photos from outside sites and blogs that cover every topic from fashion and home décor to food and travel. By the middle of the nineteenth century, the nature of education a woman should receive became an intense social contest but, many citizens—both men and women—feared that increased education for women would provide them with the capability to achieve economic independence, upsetting the strict Victorian family-based social structure. The role of most middle class women, therefore, continued to remain centered on the home. Many women, however, used publishing to push the boundaries of female education within the limits of their domesticity. Sarah Josepha Hale was one such woman. Starting the Ladies’ Magazine in 1828¸ she sneered at the decadent, European fluff that filled other women’s literature and focused on publishing works by American, both male and female, writers. In 1837, her magazine joined with Godey’s to create a publishing powerhouse. Focusing on broadening women’s minds, celebrating American literary talent, and trumpeting the values of thrift and prudence, Hall’s leadership of Godey’s brought its circulation to 150,000 before the Civil War and attracted writers like Edgar Allen Poe and Harriet Beecher Stowe. Directed toward the middle class, Godey’s became a cultural staple for many women. Those who could not afford the subscription on their own, would join clubs to share the magazine and the fee. To be the most effective, dutiful, American sovereign over your home, you had to have Godey’s. But this was no easy task. Let’s take a look at some “pins” from the Godey’s Lady’s Book. Need to add some charm to your home with plants but having trouble locating those pesky earthen pots? 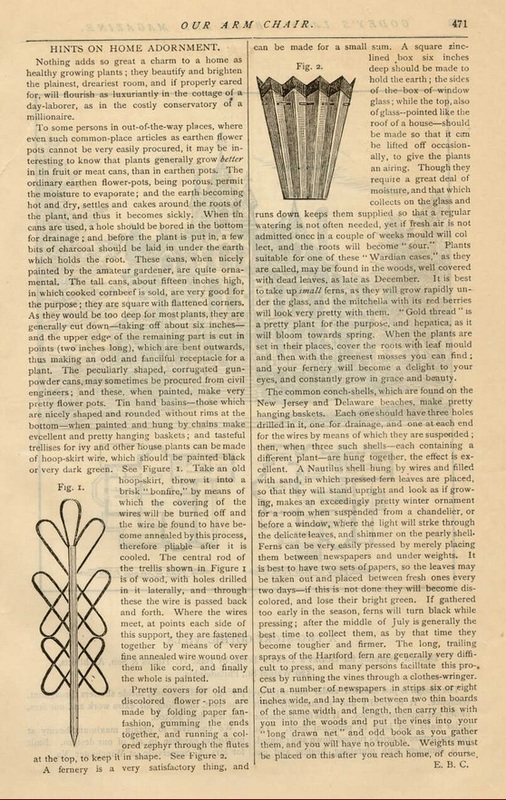 Godey’s informs readers that “it may be interesting to know that plants generally grow better in tin fruit or meat cans.” Don’t have those either? Continue to read for instructions on how to make “tasteful trellises” for ivy and other plants using wire from an old hoop skirt. Parties are always a stressful affair. To brighten up any children’s party, serve these little plum cakes from this simple, healthy recipe…. 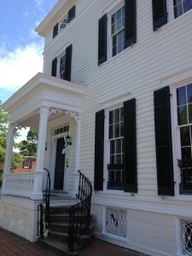 At the Lee-Fendall House, Godey’s would have been a major reference for Harriet Cazenove—the great granddaughter of Richard Henry Lee—as she moved into her new Alexandria home with her new husband, Louis, in 1850. Socially ambitious, the Cazenoves completed renovated the home to fit with the latest fashions and technology. Marble mantles replaced wood ones, a solarium (or conservatory) was added on the first floor, and the entire home was outfitted with new central heating, plumbing and gas lighting. So extensive were these renovations, the value of the home jumped from $3,000 to $12,000 between 1850 and 1852. To ensure the interior of her home equaled the impressive renovations, Harriet would have been aware of the advice emanated by Godey’s. Harriet’s plans for Lee-Fendall, however remained unrealized. In 1852, Louis died and left his new bride a widow. In 1856, Harriet decided to relocate and would rent out the Lee-Fendall House until it was confiscated in the Civil War by Union forces. Need some more Godey’s? Check out next week’s blog post about Godey’s and Alexandria. Alicia Whitecavage et al., The Power of the Mighty Pin: Pinterest Examined (paper presented at proceedings of the 77th Annual Convention of the Association for Business Communication, Honolulu, Hawaii, October 24-27, 2012). Lawrence Martin, “The Genesis of Godey’s Lady’s Book,” The New England Quarterly 1.1 (1928): 65. Thelma M. Smith, “Feminism in Philadelphia, 1790-1850,” The Pennsylvania Magazine of History and Biography 68.3 (1944): 248-9. Accessible Archives, “Godey’s Lady’s Book,” Accessible Archives, Inc., http://www.accessible-archives.com.mutex.gmu.edu/collections/godeys-ladys-book/ (accessed November 2012). Amy Condra Peters, “Godey’s Lady’s Book and Sarah Josepha Hale: Making Female Education Fashionable,” Student Historical Journal, Loyola University (1992-3). 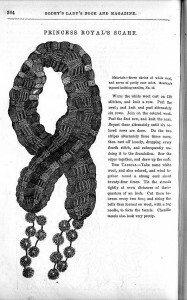 “Hints on Home Adornment,” Godey’s Lady’s Book (May 1880), in Accessible Archives (accessed November 2012). 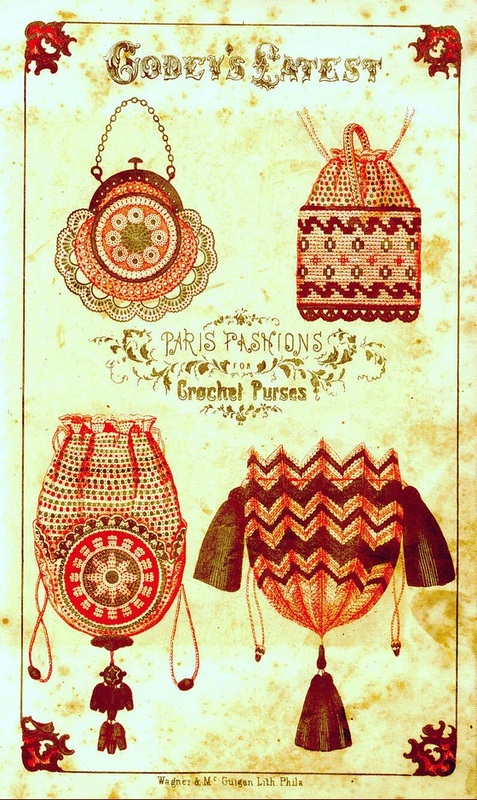 “Godey’s Latest Paris Fashions for Crochet Purses,” Godey’s Lady’s Book (December 1855), in Accessible Archives (accessed November 2012). “Recipes for Children’s Party. Little Plum Cakes,” Godey’s Lady’s Book (October 1879), in Accessible Archives (accessed November 2012). We’re trying something new at the Lee-Fendall House this month. For the entire month of November, we are waiving admission fees to the house. While we would love to mimic the Smithsonian’s example of free admission year-long, as a small historic house museum we simply need admission fees to operate. Frankly, the Lee-Fendall House is a steal (admittedly, my opinion may be slightly biased) at $5 admission for adults and $3 for children. It’s a small price to pay for a guided tour given by one of our very talented docents, along with a chance to experience over two hundred years of history. And with that I’ll finish my very obvious plug for the museum – but I’m sure that those of you who have been to the Lee-Fendall House know exactly what I’m talking about. By waiving admission fees in November, we’d like to do away with the obstacle that an admission fee often poses to tourists and local residents alike. As an avid museum-lover, I recognize that I’m perhaps more willing than most to pay admission to experience a battlefield, a historic house, or an art museum. I’ve worked with non-profits in some sense for years now, and if nothing else it has instilled in me the importance of supporting your local cultural resources. It’s rare to meet someone in this field who isn’t incredibly passionate about what they do and what their organization can bring to the community. Like most people, I pay for movie tickets, for dinners out (probably too many), and for new blouses every now and then. Most of these purchases often come hand-in-hand with a little guilt. But honestly, I never give a second thought about contributing to a museum. The intent behind “No Admission November” is to bring more people to the Lee-Fendall House, especially those who may not have come with an admission fee attached. We’re still asking and hoping for donations, but if nothing else we hope that more people simply come, even if they don’t pull a dollar out of their pocket. If you always mean to make it out to a museum on your weekend, now is the time to do it. We’d love to have you.